North Brisbane Trees are a team experts in tree removal and are based out of Samford in Brisbane North. We have been providing first rate tree removal and tree lopping services throughout Brisbane, Sunshine and Gold Coast since 2007. We’re all about quality workmanship, fast and efficient service and the most important thing to us is customer satisfaction. We’re very proud of the nice reviews that have been left online and we currently have over 135 Google reviews and a Google rating of 4.8 out of 5 stars. We are a team, not a one man show! We are fully insured ($10 million public liability insurance) – you get peace of mind! All of our staff are either trade qualified (level 3 Arboriculture) or are currently enrolled in their level 3 training. COMPARE NORTH BRISBANE TREES and see why we’re the best choice. We are also one of few tree companies in Brisbane that have Certified level 5 (Diploma qualified) Consulting Arborist on board (our director Craig Bauer) which means we can provide valuable Arborist Reports and expert advice- something not many others can do! We promise reliable, prompt and professional service – every time! 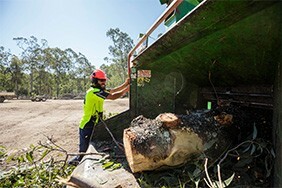 Our employees have extensive experience in the Brisbane tree industry and we pride ourselves on providing an expert and friendly service, with an emphasis on safety: safety for the public, safety for property and a safe work environment for our staff. North Brisbane Trees aims to always provide a rapid response to enquiries about tree lopping, tree removal, stump grinding or general tree advice. We can also provide emergency tree response for more urgent situations where property or personal safety is at risk. We only work when it’s safe to do so and if it’s legal. When choosing a company to carry out tree work, look at their years of experience, testimonials from happy customers and ask whether they have comprehensive public liability insurance. Solo operators and one man shows tend to have less experience, inadequate insurance and simply aim to compete on price with no concern for the safety of life, limb or property. It’s not worth the risk. Working with North Brisbane Trees means the work we carry out is safe – we never put any life or property at risk! We also only carry out work that is legal and within the guidelines and requirements of local councils and governments. Another major difference in the way we work is how we clean up after every single job, no matter the size. Other operators will simply prune branches, remove trees or grind stumps and leave a huge mess. But for us at North Brisbane Trees, we ensure that whatever the job, we leave the area as clean as possible once we are done. Trees in urban landscape settings are often subject to disturbances, both above and below the ground. They may require care to improve their chances of survival following damage from people, animals or abiotic causes. North Brisbane Trees can provide appropriate solutions, such as pruning trees for health and good structure, for aesthetic reasons, to keep them away from wires, fences and buildings, or because the tree poses a safety risk. Methods of treatment depend on the species of tree and the purpose of the work. When it comes to tree equipment, North Brisbane Trees only uses the best. We are equipped with a massive 24 inch capacity chipper and a 17 inch chipper, so if our clients desire, we can either leave the chipped tree mulch in a pile at the job site or we can remove the mulch free of charge. We can also provide a quote to spread the mulch over your garden beds if required. We can also tow our commercial log splitter to the job site where we can split your unwanted trees into firewood – this is only really an option for hardwood trees. Due to the nature of tree work, there may be the very occasional time where minor property damage may occur. We have a very simple motto: if we break it, we fix it…FAST! We don’t believe our clients should have to wait for insurance companies to assess damage to property, instead we will have qualified tradesman make the necessary repairs immediately. North Brisbane Trees is covered by $10 million Public Liability Insurance for your peace of mind and added reassurance. 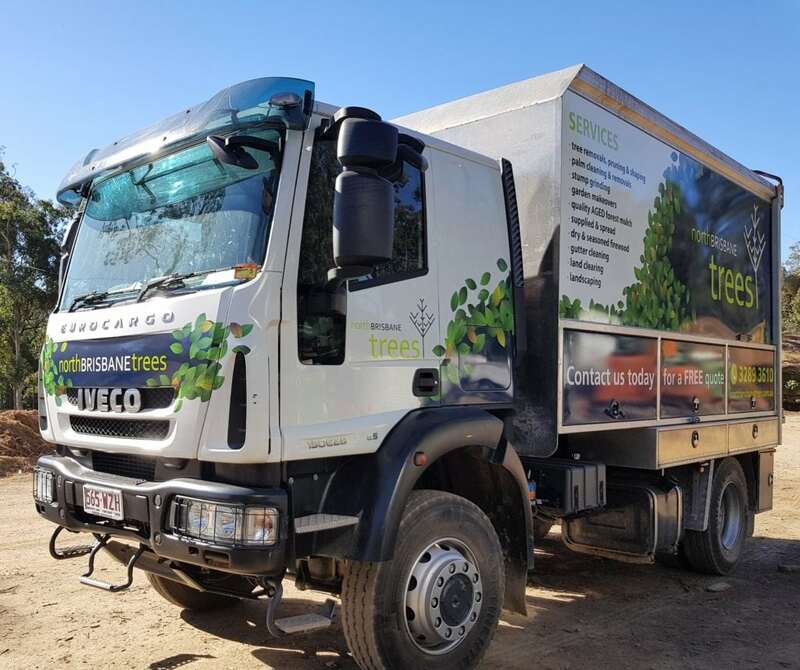 So for all your tree or garden related requirements, large and small, North Brisbane Trees will provide you with complete professionalism at competitive prices, every time. Trust North Brisbane Trees excellent tree removal services. We are confident you will be extremely satisfied with our services. Check out our Customer Feedback to see how many customers we have served since starting in 2007 as the best tree experts in Brisbane North. For new customers, please leave us your feedback – we’d love to hear from you! COMPARE NORTH BRISBANE TREES and you’ll see why we’re the best and only choice.